Milan Turkovic originates from an Austro-Croatian family, grew up in Vienna and became internationally known as one of the few bassoon soloists. Over the past two decades, he has become a most successful conductor, making appearances all over the world. Turkovic has conducted in Vienna, Salzburg, Graz, Milan, Venice, Florence, Rome, London, Berlin, Dresden, Munich, Prague, Krakow, Bratislava, Munich, New York, Tokyo, Nagoya, Osaka, Sao Paulo, Rio de Janeiro, Buenos Aires, Lima, Santiago de Chile and Brisbane with orchestras such as the Vienna Symphony, the Vienna Radio Symphony, Munich Radio Orchestra, Camerata Salzburg, the Orchestra di Padova, The Rome Symphony Orchestra, the Orchestra Sinfonica G. Verdi of Milan, the Krakow Philharmonic, the Tokyo Metropolitan Symphony Orchestra, the Nagoya Philharmonic, the National Orchestra of Taiwan, the Prague Philharmonia, the Istanbul State Symphony Orchestra and the Austro-Hungarian-Philharmonic. The important Japanese music magazine “Ongaku No Tomo” listed him in a shortlist as one of the twenty most interesting conductors in the Tokyo music scene. 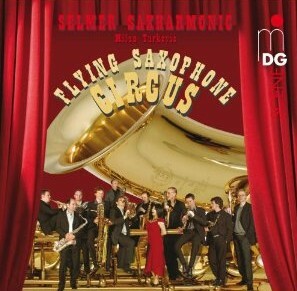 A recipient of the Edison Award, he also received the German “Echo Klassik” Award in 2010. He regulary acts as a principal conductor at the Japanese Festival of Kusatsu. Turkovic has worked with the soloists Mischa Maisky, Jan Vogler, Benjamin Schmid, Vadim Repin, Georg Breinschmid, Michael Schade, Xavier de Maistre, Gábor Boldoczki, Sergei Nakariakov, Sara Mingardo, Lise de la Salle and many others. His discography currently consists of 9 CDs as a conductor, 15 CDs with solo repertoire, 26 CDs with chamber music and over 200 CDs with Concentus Musicus. He has recorded the Mozart bassoon concerto four times; his third recording was performed on a period instrument, with Nikolaus Harnoncourt conducting. Other releases include the concerti by C.M.v. Weber (with Marriner), the quintet for bassoon and strings “Meeelaan” by Wynton Marsalis and a double CD “Bassoon Extravaganza”. 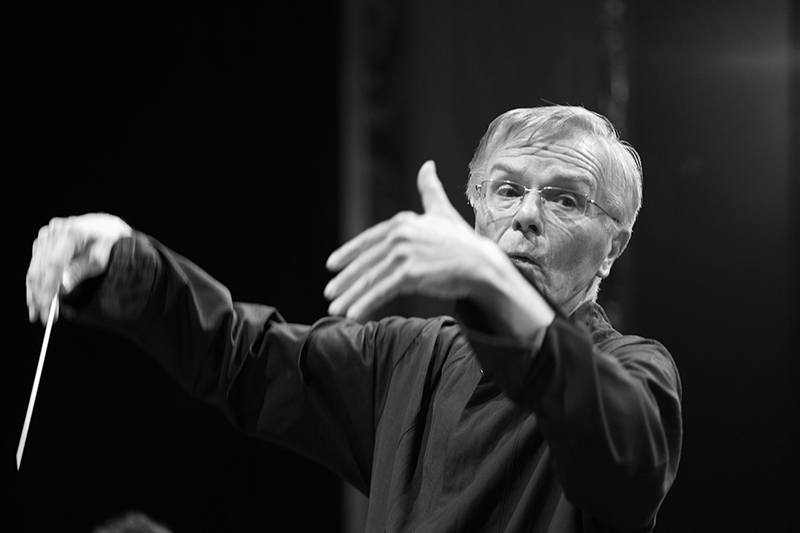 On his most recent CDs he conducted three symphonies by J. Haydn and two CDs with the German Ensemble Selmer Saxharmonic (Echo Klassik award in 2010). As a soloist Milan Turkovic has performed at numerous musical centers of the world with renowned orchestras (i.e.Vienna Symphony, Stockholm Philharmonic, Bamberg Symphony, The Stuttgart Chamber Orchestra, Munich Philharmonic, I Solisti Italiani, Orchestre de la Suisse Romande, Camerata Salzburg, Chicago Symphony Orchestra, Saint Louis Symphony Orchestra, Mostly Mozart Festival Orchestra (New York), The English Concert, NHK Symphony Orchestra (Tokyo) and the F. Liszt Chamber Orchestra (Budapest). He has worked with such conductors as Eschenbach, Giulini, Harnoncourt, Marriner, Pinnock, Sawallisch, Stein, Vegh among others. Turkovic was a member of Concentus Musicus Wien, of Chamber Music Society of Lincoln Center and a founding member of Ensemble Wien-Berlin. Milan Turkovic has appeared at important festivals all over the world, including Salzburg, Vienna, Lucerne, Lockenhaus, Prades, Prague, New York Santa Fe, Portland, Osaka, Sapporo, Kusatsu. After a tour with trumpeter Wynton Marsalis in 1998. Mr. Marsalis dedicated the quintet “Meeelaan” for bassoon and string quartet to Milan Turkovic, which was subsequently performed by Turkovic all over the world. Turkovic has performed numerous premiere performances, including works by Jean Francaix, Sofia Gubaidulina, Ivan Eröd, Rainer Bischof and Thomas Daniel Schlee. 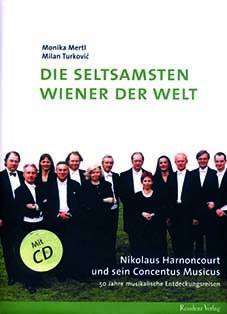 In print, Mr. Turkovic is the author of four books (in German) A book about the Concentus Musicus Vienna on the occasion of its 50th anniversary also appeared in a Japanese translation. He regulary acts as a jury member and jury chairman at international competitions.